Enclave Publishing has re-released Firebird, making this first book of the award-winning Firebird series available as a single volume for the first time since 1999. 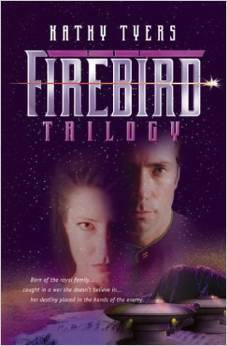 New editions of all five Firebird series novels are planned. 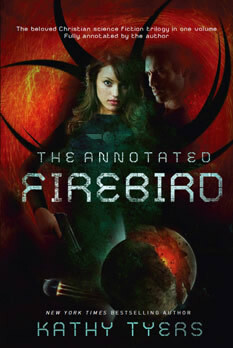 Lady Firebird was born to the royal family of Netaia, but her life is expendable. Honorable suicide is the highest calling she could hope to attain. When she is chosen to lead an attack on the neighboring non-combatant planet of Veroh, her death is expected. Instead she is taken prisoner during the battle and is held by the enemy. The human settlers of the Concord worlds are slowly rebuilding the ecosystems and civilizations ravaged by the alien Devastators. But now politics sabotage the recovery process as a prosperous world threatens secession, raising the specter of a pernicious war of humans against humans.. These critically acclaimed novels deftly chronicle one courageous woman’s spiritual and physical battles and the eternal consequences of her struggle--not only for herself and Brennan Caldwell, the man she loves, but also for the worlds she seeks to save. With her own people seeking her sacrifice, Lady Firebird finds herself swept toward an exciting but perilous destiny. 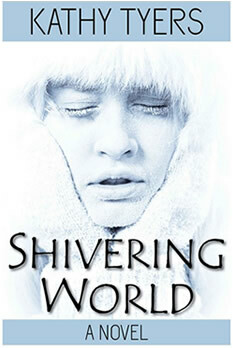 Capturing the imaginations of readers of all genres, the complete story is now offered in this 3-in-1 volume. 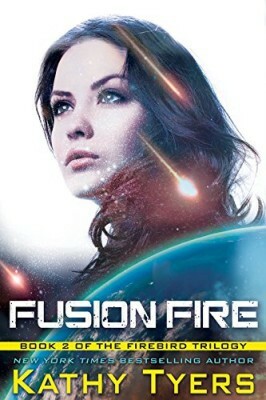 Fans of science fiction and fantasy from a Christian worldview and readers who simply love great storytelling will be thrilled by the thoughtful themes and intriguing plots of this compelling trilogy.